1 Comment on How to Choose Budget-Friendly Hosting Service for WordPress? WordPress is a very popular service to build user-friendly websites in no time. It provides the simplicity to build a websites with easy options. But, choosing the best Web hosting for a WordPress is a tricky task; especially when you have no idea about type of servers for WordPress platform. There are various factors you need to consider before. Your budget will determine in some respects, how you decide to design your site. If you have a bigger budget, you might be able to afford a web designer to do all the web building work for you. However, if money is limited, then you may have to design the site yourself using a WordPress. The support for WordPress tools is phenomenal considering its open source and extensive populace of users. There are also umpteen numbers of tutorials to help you in learning about WP tool and its processes. You may even appoint a WordPress expert to help you in understanding and operate this tool. There are different types of hosting services available to match your needs. You can opt for a free web host, or you can use a paid web hosting company. The free web hosting option will save you money, but there are limitations such as bandwidth and features that make it poor option for business. Another fact is that you won’t be able to use your own domain name, which is an important part of brand marketing. The first and most important thing is to plan what you want your website to do. Are you a professional blogger that will be uploading photos and blogs, or are you a retail company that needs eCommerce aspects? In this guide, we will help you to choose the best budget friendly hosting service for WordPress. Before deciding on which of these thee hosting options to use, a careful comparison is required to be made. Here, I mentioned a clear details of hosting types. Shared hosting name is self explanatory. Your website will be shared with other websites hosted on same server. 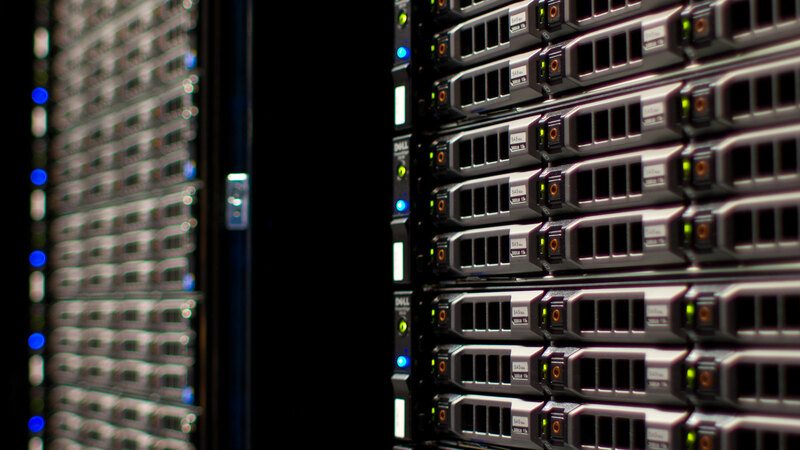 Each website hosted on this server shares the server resources. So, each customer will have a limit on the RAM and bandwidth consumption. Shared hosting is the budget-friendly hosting option for newbies and low traffic websites. In a VPS (Virtual Private Server) it can guarantee the resources available to the user by virtualization technology. A VPS is very fast and reliable when compared to shared hosting with limited resources and choices. Choosing the right VPS provider remains a tough task for some, especially for those who are new to using VPS. However, there are many VPS hosting servers available at an affordable pricing. Dedicated hosting is a specially designed hosting service for your website needs. But, when compared to the above to server options, dedicated is pretty high in price and also offers tailored CPU resources. Dedicated hosting is suitable for big companies, heavy traffic websites and eCommerce sites. It is important to choose a web hosting company that is reputable so you can make sure your site is safe and accessible during the entire year. If you are currently experiencing issues with the provider you currently have, or you do not know the options or features you need, there are some tips you can consider. Always remember that the Internet never takes a nap or a vacation. This means you need to select a company that offers superb customer support. There are many web hosting companies that promise to offer support 24/7, however, this does not mean that the service you receive will be knowledgeable or fast. Be sure to test the response time of the customer support team before entering into any agreement. Once you chosen your hosting type, now it is the time to choose the best server location to your WordPress website. Servers are obviously an indispensable as well as a central element in many organizations today. This emphasizes the need for more and more people to keep investing in servers for their companies continuously. Web Infrastructure: It is perhaps one the key things that you need to consider when deciding where to locate your server. Every time a user seeks information from your server, the specific information usually has to travel from your server to the network of your hosting provider. This goes on through numerous other networks, through several exchanges as well as switches. It is, therefore, essential for you to settle for a country or region with a reliable local network as well as fast close connection to the exchanges of the internet serving your target market. The Infrastructure of the Hosting Provider: Hosting of servers demands well and highly developed technology besides the expertise. It also requires an adequate long-term investment in components such as power, cooling as well as infrastructure. Take your time to check for the presence of this infrastructure in the website of your hosting provider. As far as infrastructure is concerned, check out for any redundancy. For instance, you may want to find out whatever happens if one element of the network fails, does the entire network fail? The Exchange Risk: It is vital to know that your hosting or server package is bound to be affected by the constantly changing exchange rates. Take your time to evaluate the currency in which you will be billed and find out its volatility about your currency. Market Proximity: This has to do with the distance that data will have to travel between your server and the user as well as the number of hops that are there between networks since these factors will affect your website speed.If your hosting provider is in possession of a well-connected and reliable network which makes use of potentially high-quality hardware and switches, then the differences in speed will only be an issue of tens of milliseconds. You should also be aware of the different options that are available for web hosting. For example, educate yourself so you will know if your site will benefit more from shared hosting or VPS or dedicated hosting. Do your homework when choosing a web hosting company. Never choose a provider based on price alone. It will be a hassle if your site ever goes down.